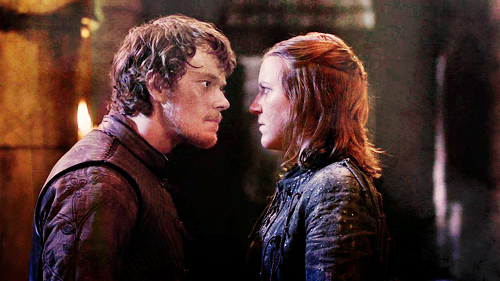 Asha / Theon. . Wallpaper and background images in the Asha Greyjoy club tagged: game of thrones got asha greyjoy yara greyjoy theon greyjoy. "I played with axes too." "I want to have adventures." "Grant me just one small throwing axe."